How can TapRooT® help with your ISO programs (or other management system issues)? Happy Wednesday and welcome to this week’s root cause analysis tips. Many companies are ISO certified and some of those that are not have some type of management system. There are too many different systems and standards out there to discuss individually, but one of the common themes is continuous improvement. Whether you use a commonly known management system or developed your own, one of your goals should be to improve your system/business. When I think of a management system, I think of it as a framework for how you manage your business. Whether required or not, incorporating continuous improvement is a smart thing to do. While ISO has hundreds of standards, some of the most commonly known are 9000 (Quality) and 14000 (Environmental); coming down the pike soon is 45001 (Safety). There are also numerous industry specific standards. Many of the ISO standards use a common framework that includes the PDCA (plan, do, check, act) cycle. This is where TapRooT® can help. 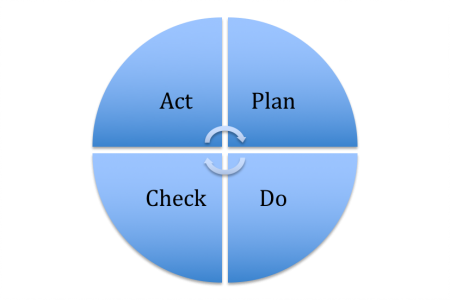 PDCA is a simple process that has been in use widely since the 1950’s. I do not know many processes that have endured that long. So why? Because it is easy and it works. As part of PDCA, you have to determine what to fix, how to fix it, and whether it works. Sounds a little like root cause analysis and corrective action, doesn’t it? So if you were going to use PDCA to help solve your problems, what would you use for root cause analysis? If I were you, I would use TapRooT®. Need help with corrective actions? Use the Corrective Action Helper®, SMARTER Matrix, and Safeguards hierarchy. You can incorporate TapRooT® tools into any improvement framework you use. Also, don’t forget the importance of auditing. This should be part of your management system as well. We’ve taught auditing with TapRooT® for years, but we recently developed a new course specifically for Auditors, TapRooT® for Audits, and wrote a new book, TapRooT® Root Cause Analysis for Audits and Proactive Performance Improvement. The primary topic of the book is auditing, but we also have a short section on PDCA. We’ll be teaching this course in Charlotte, NC in May if you would like to join us. 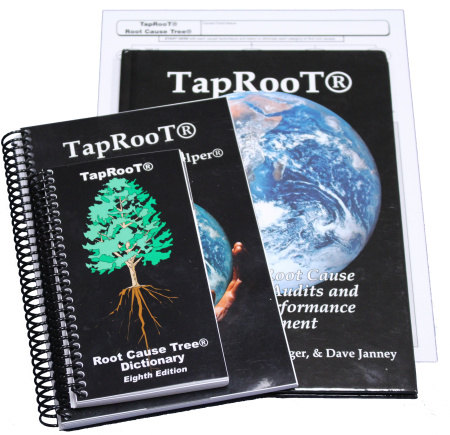 Or, if you are already TapRooT® trained, you can get the book on our store. Thanks for reading the blog, and best of luck with your improvement efforts.